Western hospitality awaits you at the Broken Arrow Lodge & Outfitters ” off the beaten path ” in Southwest Montana in the Upper Ruby Valley with the prestigious Ruby River flowing through the lodge property. Located in the north end of the Snowcrest Mountain Range up on a hill overlooking the impressive Ruby Valley. We are a small family owned and operated business opening in 1994 with over 40 years of hunting, horseback riding, and fishing experience. We are flexible to accommodate all your interests and customize your trip to satisfy your desire to experience the outdoors. Leave Montana knowing you got the most of it. Whether you go home with a trophy elk or simply the scent of mountains on you, you’ll feel relaxed, rejuvenated, and happy. Your trip will be one you won’t soon forget. If you planned out your Montana vacation yourself, how much time would it take you to figure out where to go and how to get the most out of it? How much of your time would be spent figuring out where to hunt versus actually hunting? Or buying groceries and preparing your meals? What would that truly cost you? Whether you’re looking for a weekend guided fly fishing trip, a week-long guided elk hunting trip, a dude ranch vacation with your family, or a horseback backcountry pack trip, we exist to help create the Montana vacation you’ve been dreaming of, so you don’t have to do all of the heavy lifting and can simply enjoy your time here. You’ve always dreamed of fly fishing the blue ribbon wild trout waters of Montana – but you might not know where the best spots are, or even how to cast a fly rod. Whether you’re a newbie who has yet to try out the sport, or you’re an experienced angler who wants to know where to go, we’re here to help. 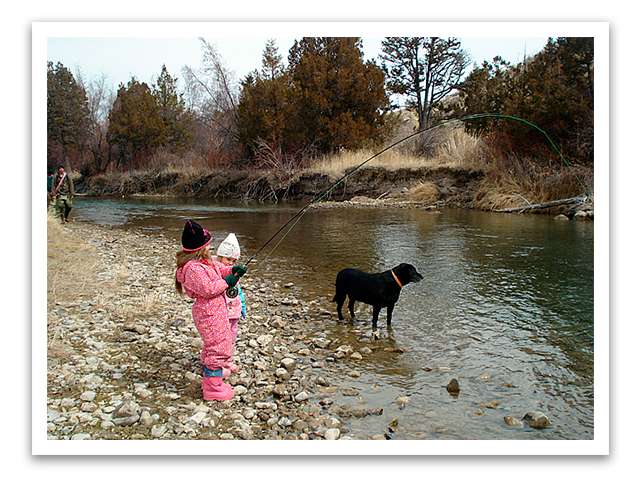 Our lodge is close to 5 famous Montana fly fishing streams. In fact, the prestigious Ruby River runs through our property! Come alone, with a buddy, or bring the whole family – at Broken Arrow Lodge, we’re glad to serve groups of all sizes. It’s no secret Montana big game hunting is legendary – and you want in on the action. Nearly half of the elk harvested in Montana annually come from the region where Broken Arrow Lodge is located, tipping the odds in your favor. 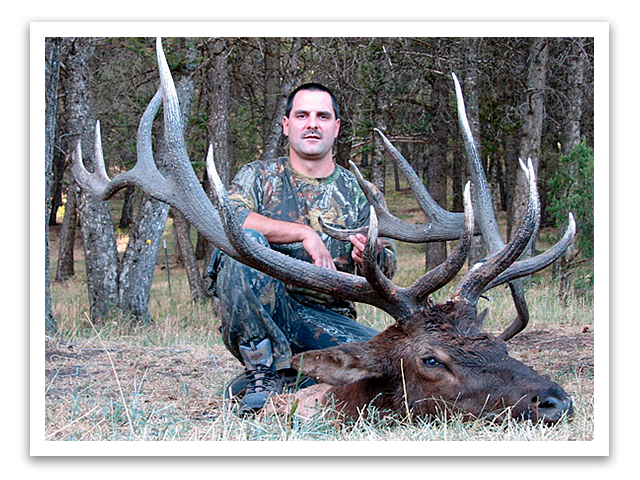 Whether you prefer rifle or bow hunting, want a guide throughout the hunt or just want to be pointed in the right direction, we’ll advise you the best way to take down elk, deer, antelope, moose, bear, and more. Not to mention, you can hunt on foot, horseback, or 4-wheel drive from the comfort of our Montana lodge – or in the backcountry for a full-on adventure. Experiencing the Western way of life with your family is the thing movies are made of – and we’re here to make your dream vacation a reality. 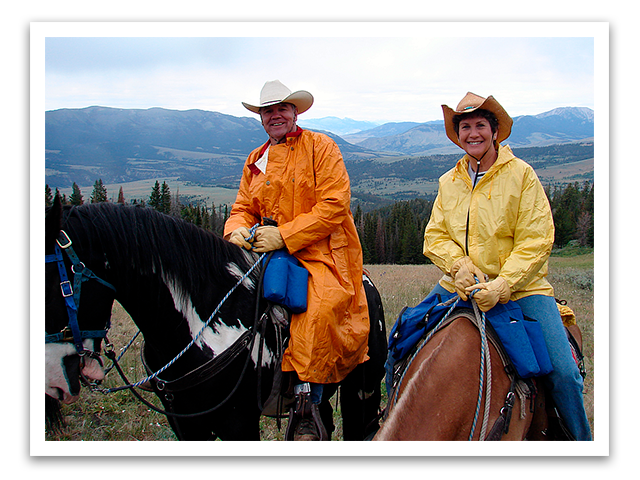 Your vacation will be complete with a true Montana dude ranch experience. The mountains are calling you to escape into them! 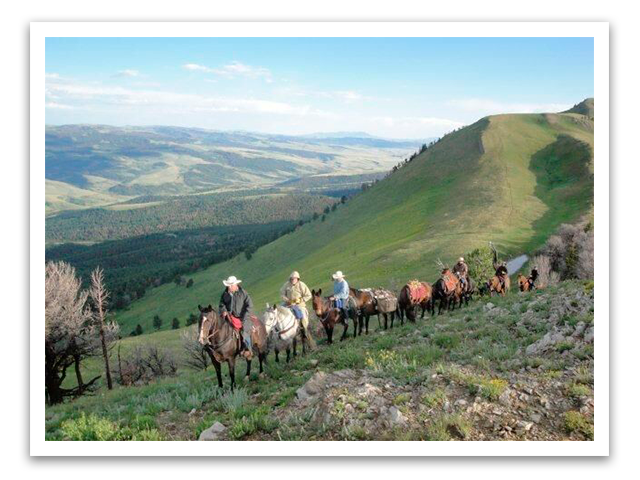 Our Montana horseback pack trips immerse you into the beautiful serenity of our mountain ranges teeming with wildflowers, wildlife, fresh air, and a big, open sky. We're proud to be one of over 120 members in The Dude Ranchers' Association, which was formed in 1926 to preserve this special way of life and the wonderful environment in which it takes place. We went through a rigorous two year inspection and approval process to demonstrate that we provide a Western ranch vacation that meets the high standards of this association.